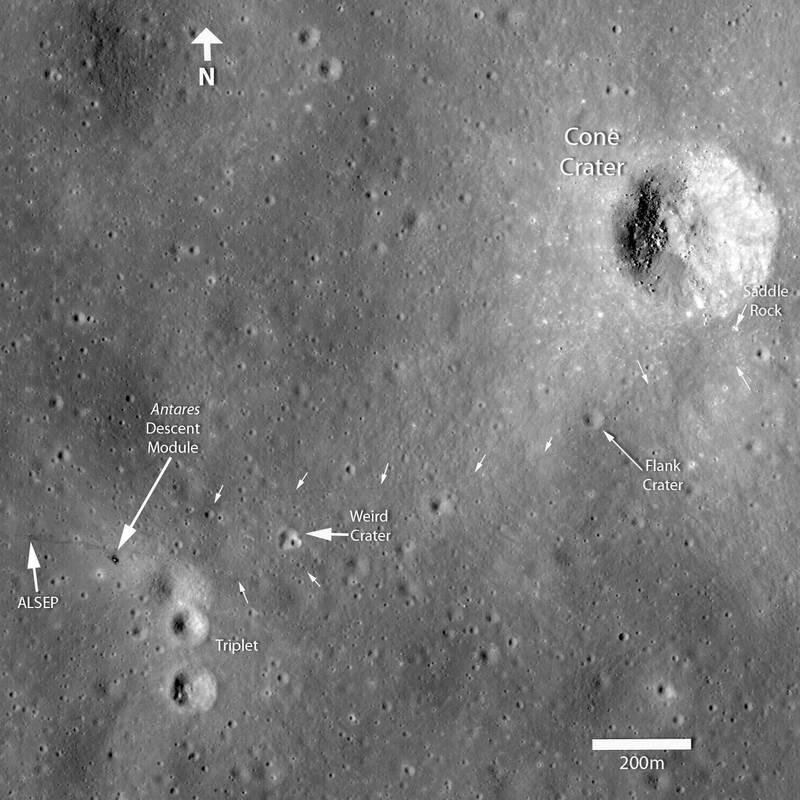 NASA’s Lunar Reconnaissance Orbiter (LRO) snapped the high-resolution images of the Apollo landing sites from above that are the sharpest views yet of where the Apollo 12, Apollo 14 and Apollo 17 astronauts touched down on the moon. Life supporting backpacks, packing materials, pieces of the protective coating of the lunar module as well as the trash and their path left by astronauts in the late 60s – early 70s of last century can be seen on the photos. 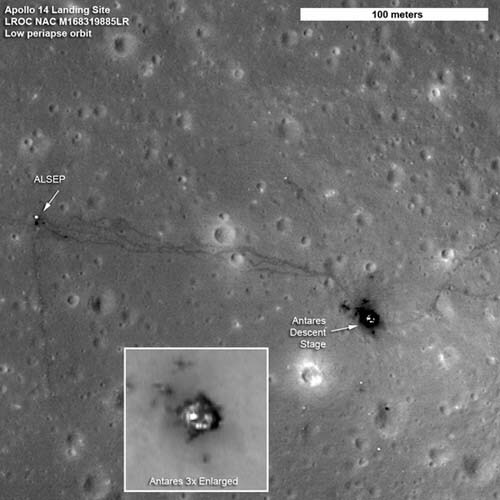 Photo of Apollo 14 landing site taken by LRO (click to enlarge). Astronaut Schmitt, who was captured in a picture next to the lunar module “Apollo 17”, recognized his backpack, and helped researchers with identifying other objects. In 2009, LRO previously took photographs of the Apollo landing sites from a higher altitude, and curiosity arose about whether the American flags that were planted in the ground during the missions were still standing. 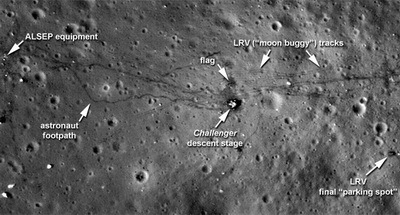 Based on the new images, that mystery may remain unsolved, but the moon’s extreme heat and ultraviolet conditions would probably destroy the nylon flags over time. 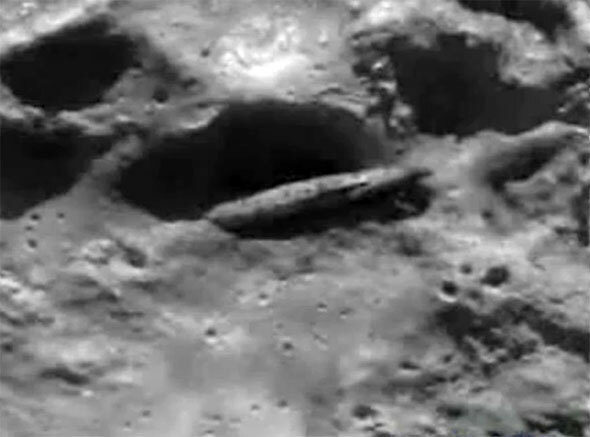 To capture more precise pictures, the device was down by 30 kilometers to the moon surface.